I recall reading somewhere that Om has a certain significance in Indian philosophy; is this due to it being the first vowel in the Sanskrit alphabet (which in Sanskrit is also the first letter, as all vowels are usually placed first)? Or is the significance part of a religious praxis? And does it also have anything to do with breath, or prana? (A parallel in Hebrew might be the sentence 'I am the alpha...' (in Revelations); but it may be a common enough parallel in languages that use or have the notion of an alphabet). The ultimate identity of AUM is thus explained: The phenomenal world consists of ideas or mental states. Ideas depend upon words fpr their expression. The utterance of the word AUM (A,U,M) gives the clue to the pronunciation of all words or sounds uttered by human beings. The various parts of the vocal organ that are used in the utterance of all sounds are also used in the pronunciation of AUM. Therefore AUM is the matrix of all sounds, which in their diversified forms give rise to the words used in language. The sound A, coming from the throat when the mouth opens to utter any word, is the beginning of all sounds. The sound M is the final sound when the lips are closed. And the sound U is the rolling forward of the impulse which has been created in the throat and which ends with the closing of the lips. Thus when AUM is uttered, all the various parts of the vocal organ needed for uttering words are used. Therefore AUM is said to include all sounds. The substratum of all sound is AUM, and the substratum of phenomena is Brahman. The sounds signifying the phenomena are non-different from the phenomena, since both are illusory. When the illusion disappears. there remains only the substratum, which is one and admits no difference. Therefore it is said that Brahman is AUM. "[A]ll the voices, all the goals, all the yearnings, all the sorrows, all the pleasures, all the good and evil, all of them together was the world. All of them together was the stream of events, the music of life...then the great song of a thousand voices consisted of one word: Om - perfection." Chapter 11, pg. 110-11 of Sidhartha by Hermann Hesse. Om is not directly linked to prana, but all prana would be part of Om. There are practices of saying Om on your breath, which are considered to be beneficial. Om and what it represents is a very positive and optimistic view of the universe and its totality. It accepts nor rejects anything, it is all that exists, and it is perfection. Om stands for the body, Ah for the speech, and Hum for the mind. The verse in John Coltrane's album Om is vividly descriptive. To start with the easy answer: OM is not the first letter in Devanagari script, the script of Sanskrit. The first letter in Devanagari is the short vowel 'a'. 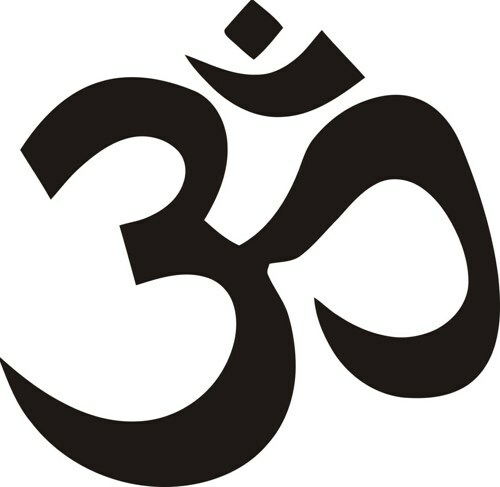 OM is composed by two letters, the vowel 'au' followed by the consonant 'ma'. 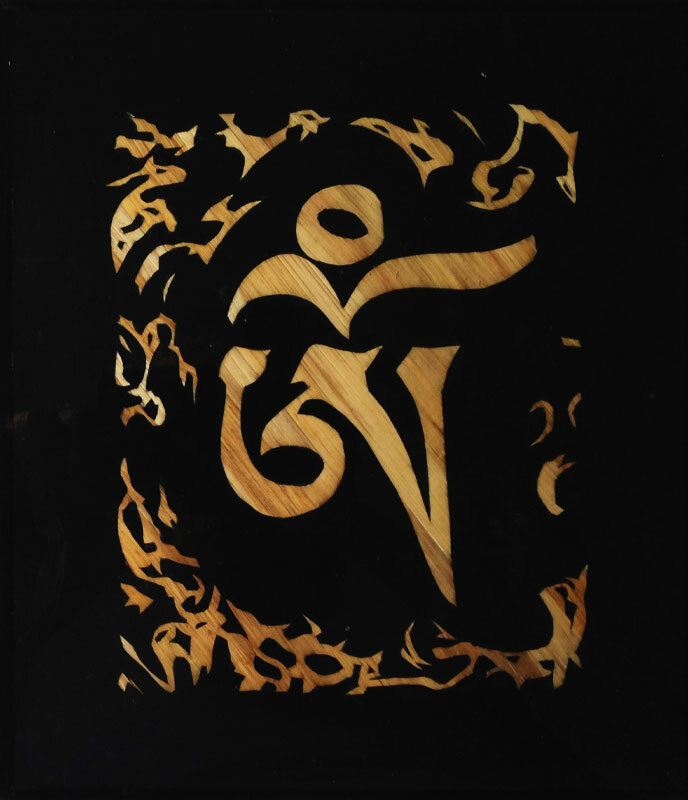 OM - one should venerate the High Chant as this syllable, for one begins the High Chant with OM. The context of this passage is a certain Vedic ritual. The Chandogya Upanishad is one of the oldest Upanishads and dates from 7./6. century BCE. It is part of the Samaveda, one of the four Vedas. Apparently, OM as a distinguished syllable is much older than this textual evidence. The meaning of OM is unknown. Probably just on account of this, OM is the object of many speculations. The syllable is highly ranked by both Hindus and Mahayana Buddhists. 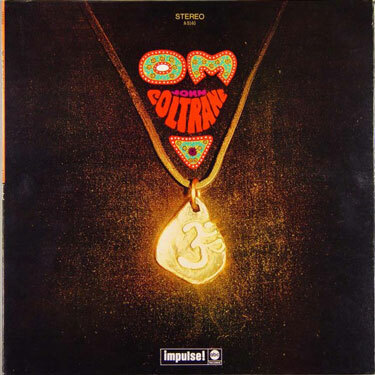 Considered from a rational point of view, OM is an example of magic speech. OM - this whole world is that syllable! The Upanishad is a late work, from about the end of the first century BCE or the beginning of the common era. Not the answer you're looking for? Browse other questions tagged theology eastern-philosophy or ask your own question. What are some good resources for learning Indian philosophy?